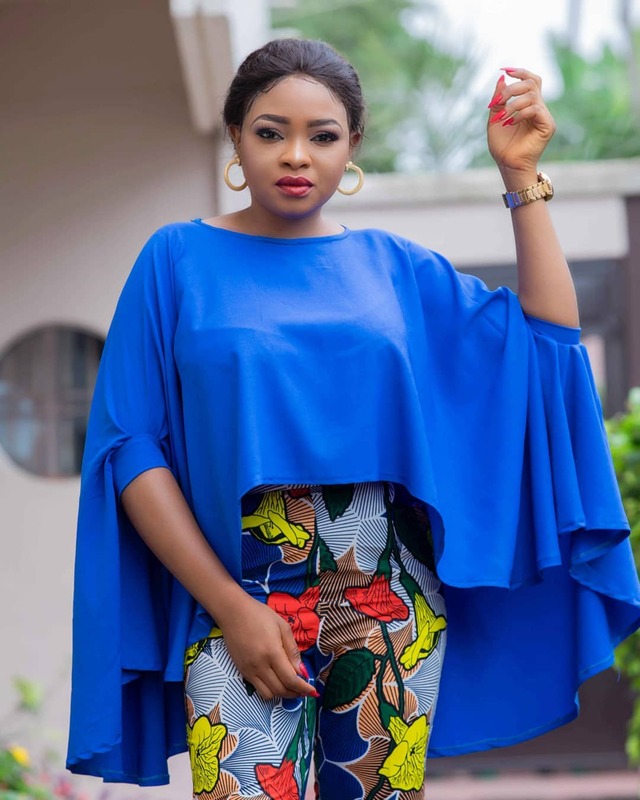 The popular actress, Funmi Awelewa looks so fabulous as she initiates a new fashion trend. 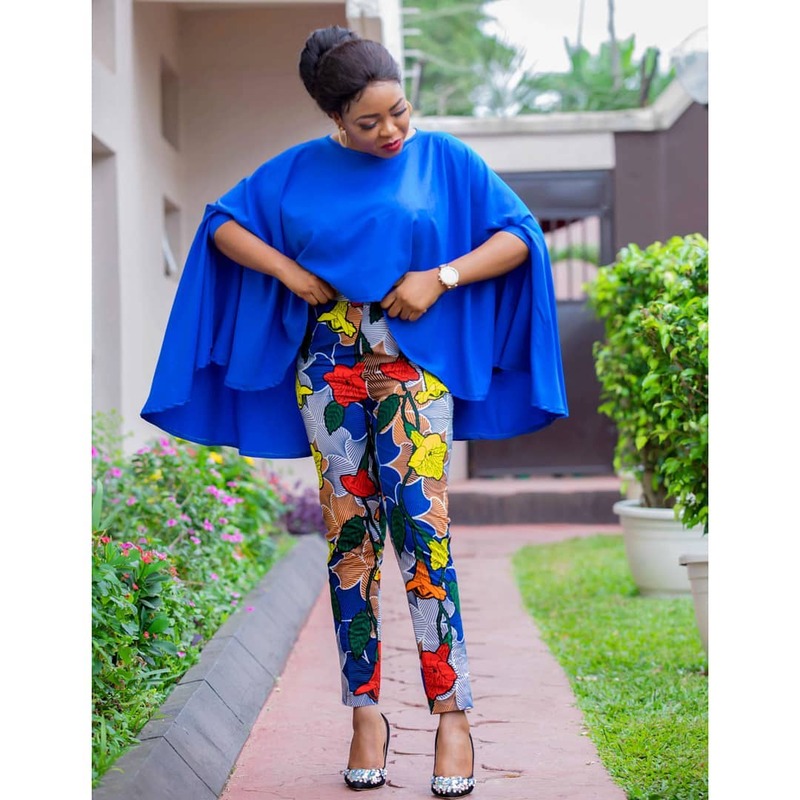 Its an ankara jumpsuit with an umbrella jacket. The color combo of her outfit is really great!